Below you fill find all funeral homes and cemeteries in or near Sioux Center. Suburbs of Sioux Center: Lebanon. 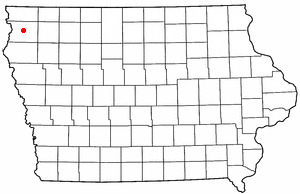 Sioux Center is also known as: Sioux County / Sioux Center city. Their current mayor is Mayor Dennis Walstra. Zip codes in the city: 51250. Sioux County funeral flowers can be purchased from one of the local funeral shops we partner with. Some of the notable people born here have been: (delwin vriend), (wilmer rensink), and (nancy metcalf). It was written by Grand Island Independent on December 9th, 2017 that Todd L Gerdes passed away in Grand Island, Nebraska. Gerdes was 54 years old and was born in Sioux Center, IA. Send flowers to express your sorrow and honor Todd L's life. It was written by Grand Island Independent on February 2nd, 2016 that Jean Boeve (Haverhals) passed away in Hastings, Nebraska. Ms. Boeve was 86 years old and was born in Sioux Center, IA. Send flowers to express your sympathy and honor Jean's life. It was disclosed on January 5th, 2016 that Marene Bleeker (Molenaar) died in Sioux Center, Iowa. Ms. Bleeker was 64 years old and was born in Lynden, WA. Send flowers to share your condolences and honor Marene's life. It was noted by West Central Tribune on December 2nd, 2014 that Jay A Kieft passed on in Grand Marais, Minnesota. Kieft was 55 years old and was born in Sioux Center, IA. Send flowers to express your sorrow and honor Jay A's life. It was revealed by Visalia Times-Delta on August 26th, 2014 that Esther Irene Schoneveld (Kruizenga) passed away in Visalia, California. Ms. Schoneveld was 95 years old and was born in Sioux Center, IA. Send flowers to express your sorrow and honor Esther Irene's life. It was written by Lynden Tribune on April 23rd, 2014 that Cornlius Eshuis perished in Washington. Eshuis was 89 years old and was born in Sioux Center, IA. Send flowers to express your sympathy and honor Cornlius's life. It was reported on January 22nd, 2014 that Martin Vandehoef perished in Scottsdale, Arizona. Vandehoef was 68 years old and was born in Sioux Center, IA. Send flowers to share your condolences and honor Martin's life. It was written by Modesto Bee on December 8th, 2013 that Pete Bartels died in Ripon, California. Bartels was 95 years old and was born in Sioux Center, IA. Send flowers to express your sympathy and honor Pete's life. It was noted by Bellingham Herald on February 27th, 2013 that Marvin Adrian Ten Kley perished in Lynden, Washington. Ten Kley was 90 years old and was born in Sioux Center, IA. Send flowers to express your sorrow and honor Marvin Adrian's life. It was reported on December 15th, 2012 that Arlyn Dirksen died in Sioux Center, Iowa. Dirksen was 59 years old. Send flowers to share your condolences and honor Arlyn's life. Sioux Center is a city in Sioux County, Iowa County, Iowa, United States. The population was 6,002 at the 2000 census; a special census in 2005 counted 6,327 residents. . . .
Find a Funeral Home inSioux Center, Iowa IA to provide the caring burial and ceremonial services your family deserves. Memorial Funeral Home, Sioux Center, IA : Reviews and maps - Yahoo! Local, 712.722.0791. Get Ratings, Reviews, Photos and more on Yahoo! Local. We work with local florists and flower shops to offer same day delivery. You will find budget sympathy flowers in Sioux Center here. Our funeral flowers are cheap in price but not in value.